SUPER JACKPOT REPORTS IN 2 MATCHES..READ THIS WHOLE POST VERY CAREFULLY AND YOU WILL KNOW WHAT IS THE MEANING OF REAL REPORTS ..
20 June ko 2 match the. 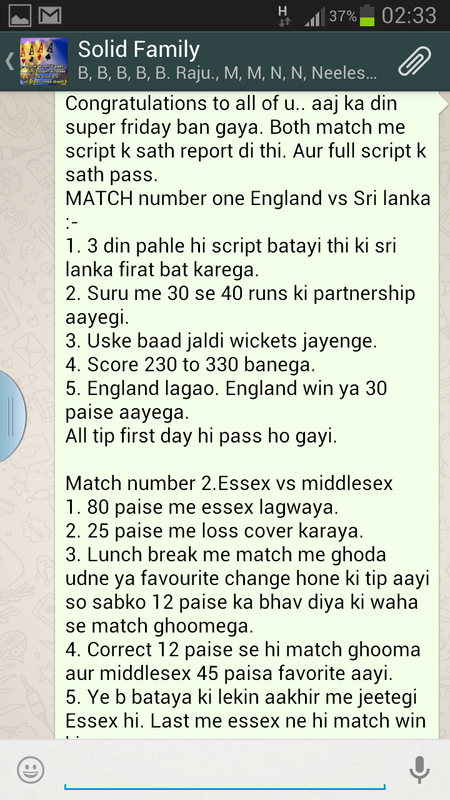 England vs Sri lanka 2nd test match and Essex vs Middlesex Netwest 20-20 match. 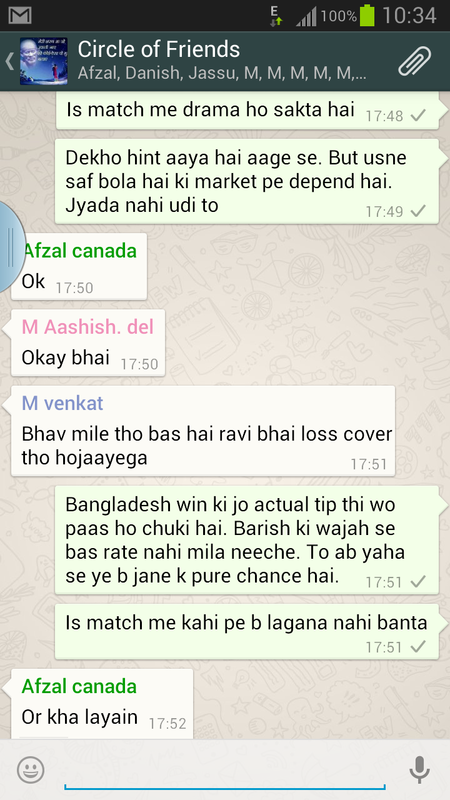 In dono hi match mein humne Super Jackpot Report di hai. Humne jo report apne clients ko batayi thi wo aap neeche dale ja rahe whatsapp screen shots mein dhyaan se padh lijiye. Aapko pata chal jayega ki Real reports super jackpot reports kise kahte hain. Isse jayada hum aur kuch nahi bolna chahte qki humara kaam hi humari pehchaan hai. 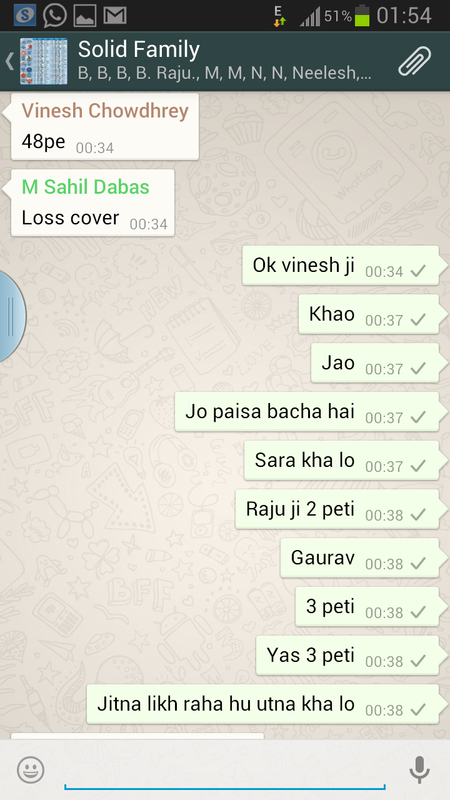 Lekin neeche diye hue whatsapp screen shots ko pura jarur padhe. Iske baad jo humse tips lena chahte hain wo hume 09540808605 par contact kar sakte hain. 2 lakh se upar per match bet karne wale members ki fees alag hoti hai wo membership details page read kare ya hume contact kare..
say much because our work is worship for us. join us can contact us on 09540808605. Details page or contact us for more details. 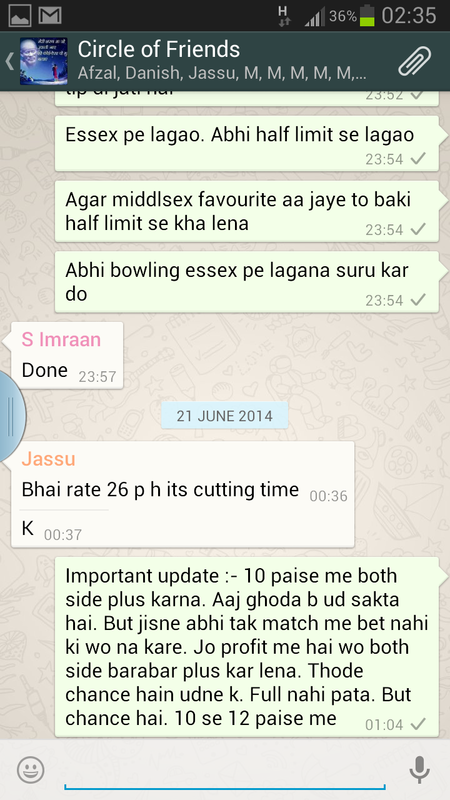 SUPER JACKPOT REPORTS IN ESSEX VS KENT 20-20 MATCH..READ THIS WHOLE POST AND YOU WILL KNOW WHAT IS SCP..
Humne aap sabko 3 din pahle hi bata diya tha ki 2 bahut big Jackpot Match aa rahe hain. Jackpot match lene ke liye bahut se new clients in 3 dino mein humse jude aur humne sabko pahle hi match mein Jackpot profit de diya. 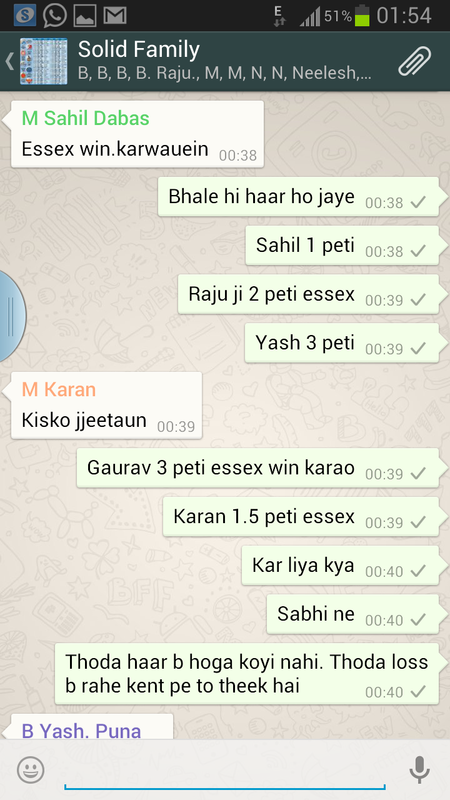 Essex vs Kent ke match mein open bhav 75 paise mein humne essex khane aur kent ko win karane ki tip apne clients ko di thi. 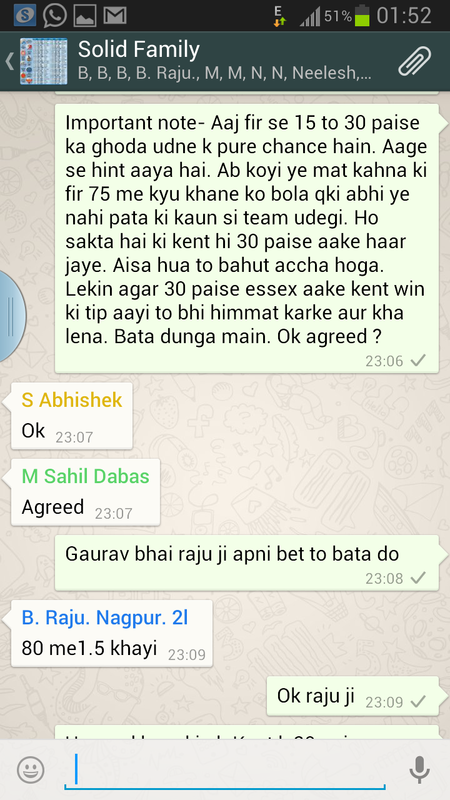 Uske baad jab kent 45 paise se favorite aayi tab humne sara profit aur thoda upar se risk lekar triple power se kent khane aur finally ESSEX win ki tip apne clients ko di. Aap khud hisab laga sakte hain ki pahle 75 mein Essex khane aur 45 paise mein kent triple power se khane par buk sirf 15 paise ki bani. Humne apne clients ko kaise tip di iska namoona hum aapko whatsapp srceenshots mein bhi dikha dete hain. Jo bhi punters humse aae judkar profit earn karna chahta hai wo hume 09540808605 par call kar sakta hai. But without fees no tip. no demo no trial..
TWO BIG JACKPOT MATCHES ARE COMING..SUITABLE FOR BIG PUNTERS..CONTACT US IF YOU WANT TO EARN BIG PROFIT..
Bahut Jaldi hi humari near 30 service mein 2 BIG JACKPOT MATCH aane wale hain. Jise bhi humse judkar in big matches mein profit earn karna ho wo 09540808605 par call kar sakta hai. Yaad rakhe ki bina advance fees demo ya trial ki baat na kare. Ye big matches Big Punters ke liye jayada suitable hain. JACKPOT REPORTS IN NETWEST BLAST YORKSHIRE VS LANCASHIRE 20-20 MATCH..CONGRATULATIONS TO ALL VISITOR..SABKO FREE MEIN BHI YE TIP DI THI..
Netwest Blast 20-20 mein kal Yorkshire aur Lancashire ke beech hue match mein humme apne clients ko JACKPOT REPORT di. Humne apne clients ko sirf 36 paise mein Lancashire khane ko bola. First session not aur lambi pari yes ki bhi tip di jo sab sahi rahi. 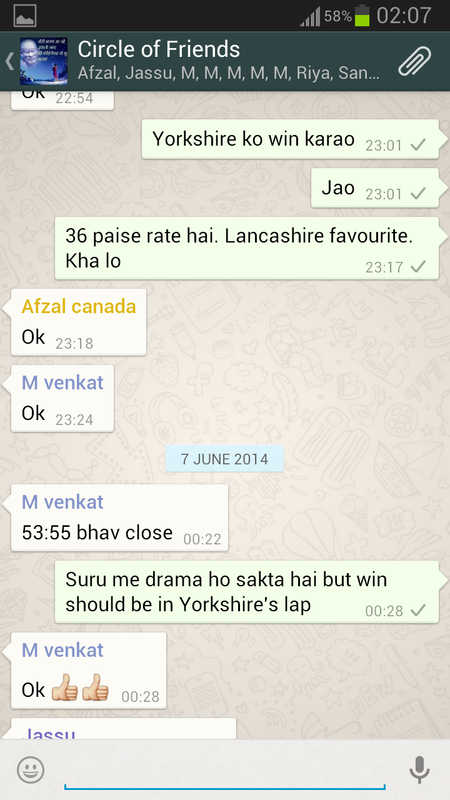 Lancashire 20 paise tak favorite aaya but match humari team Yorkshire ne hi win kiya. Low odds ki tip humne paid service mein di lekin Yorkshire win ki tip humne apne new free blog http://www.scpfree.wordpress.com par bhi match suru hote hi publish kar di thi. Aap waha par dekh sakte hain. 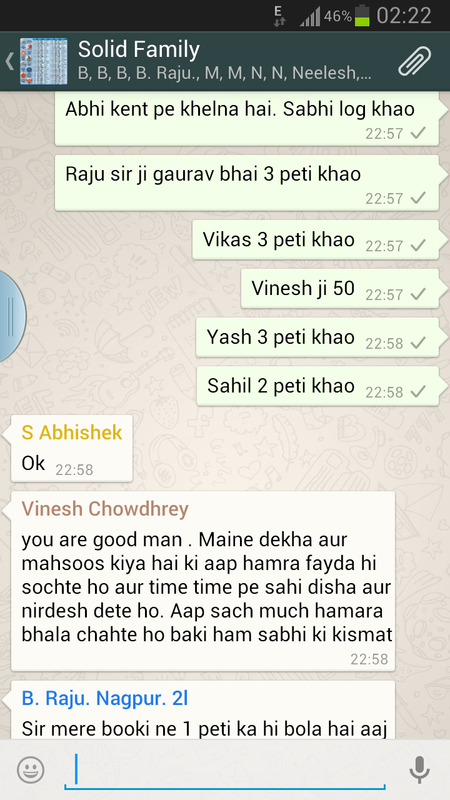 Neeche whatsapp group ke screen shot hum aapko dikha rahe hain jisse aapko pata chal jayega ki SCP mein kitna dum hai. Agar aap bhi humse judkar profit earn karna chahte hain to aaj hi 09540808605 par call kare. Super Successful 100 % Accurate Reports In Netwest 20-20 Match..
Netwest Blast 20-20 mein kal Hampshire vs Kent ke match mein humne apne new free blog http://www.scpfree.wordpress.com par free tips publish ki thi. Aap waha par match see pahle publish ki gayi post mein dekh sakte hain. Match suru hone se pahle hi publish ki gayi sabhi tips aur paid service mein di gayi sabhi tips kal ke match mein 100 % sahi rahi. Hum aapko apni tips aur unka status bata dete hain. Report 2. Rate 70 to 90 paise aa sakta hai. Result – Kent Favorite bhi aaya tha 90 paise. Report 4. 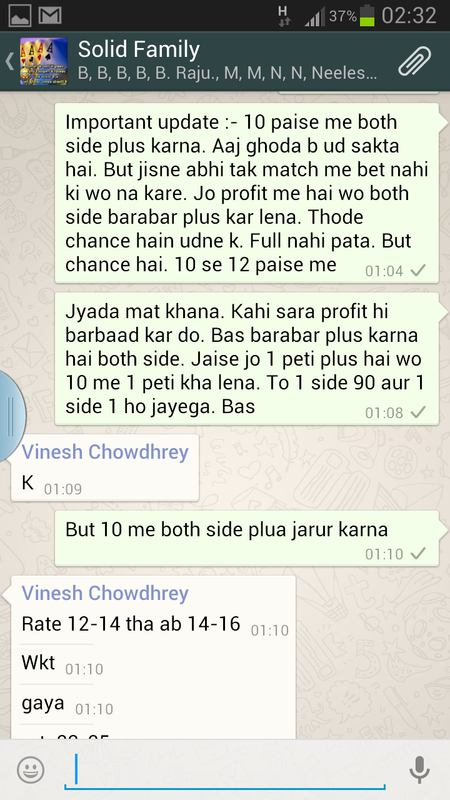 Loss cover karne ka target 14 paise diya. 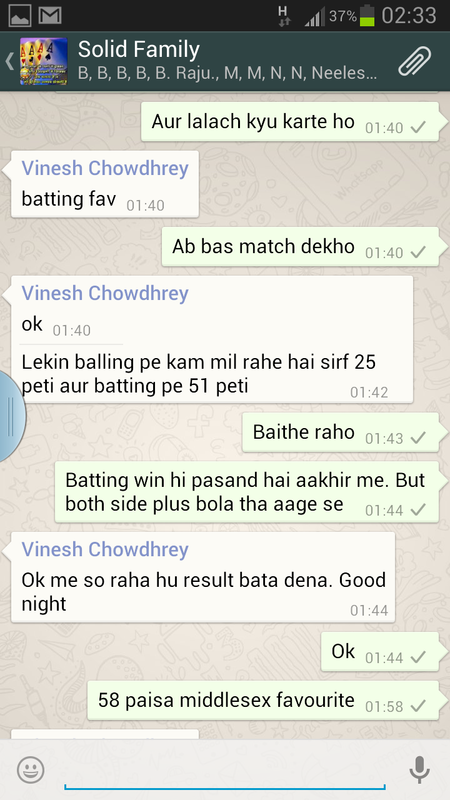 Result – Win team hi paas ho gayi. Report 5. Paid service mein First Session 75 yes bola. Lambi 163 to 167 yes bola. Result – First Session mein 76 runs bane..Lambi pari mein 171 runs bane. Agar Aap bhi humse judkar profit earn karna chahte hain to hume 09540808605 par call kar sakte hain. now publishing our tip status. Super Successful Reports In Sri Lanka Vs England 5th ODI..
Kal Sri Lanka aur England ke beech hue 5th One Day mein humne Sri Lanka win ki report apne clients ko di thi. Humne Kal apne clients ko Total 5 tips di jo hum aapko bata dete hain. Sath hi aapko ek screen shot bhi dikhayenge jisse aapko pata chal jayega ki SCP ki reports mein kitna dum hai. 1. Humne apne clients ko bataya ki Sri Lanka Win karegi — Sri lanka hi win hui. 2. 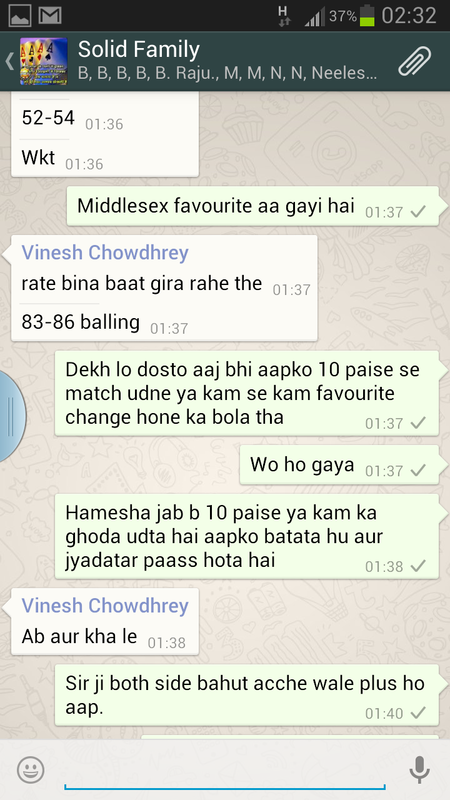 Humne apne clients ko bataya ki England rate mein 40 to 60 paise favorite aayega—England 50 paise favorite aaya. 4. Humne apne clients ko bataya ki England ki lambi pari fail hogi — lambi pari fail hui..
5. Humne apne clients ko bataya ki is match me kafi ups and downs aayenge aur 25 paise ka match turn bhi hoga.—-Sri lanka 16 paise favorite aayi jaha par humne thoda extra khane ko kaha. Uske baad both 95 ka rate aaya..Tab humne wapas fir se sri lanka par lagwaya. 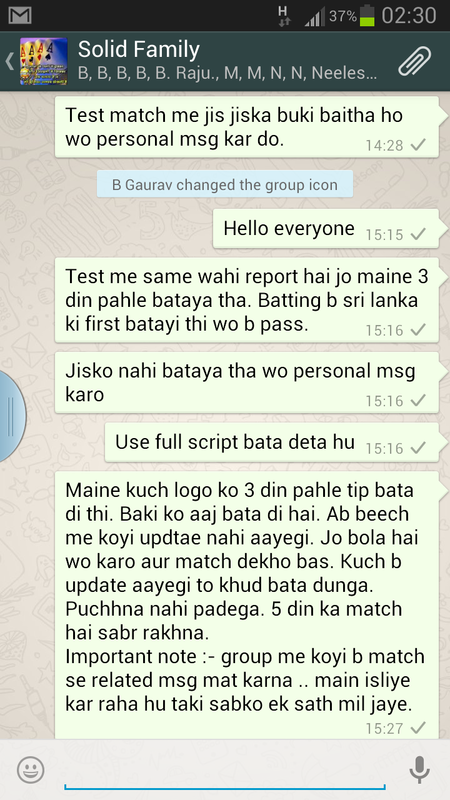 End me sri lanka hi win hui aur sabka double profit hua..
Agar aap bhi SCP ka member banna chahte hai to pahle humari fees aur procedure ko pura padhe aur humari conditions se agree hone par hume 09540808605 par call kare..
are going to tell you and we are also uploading a screenshot. 1. 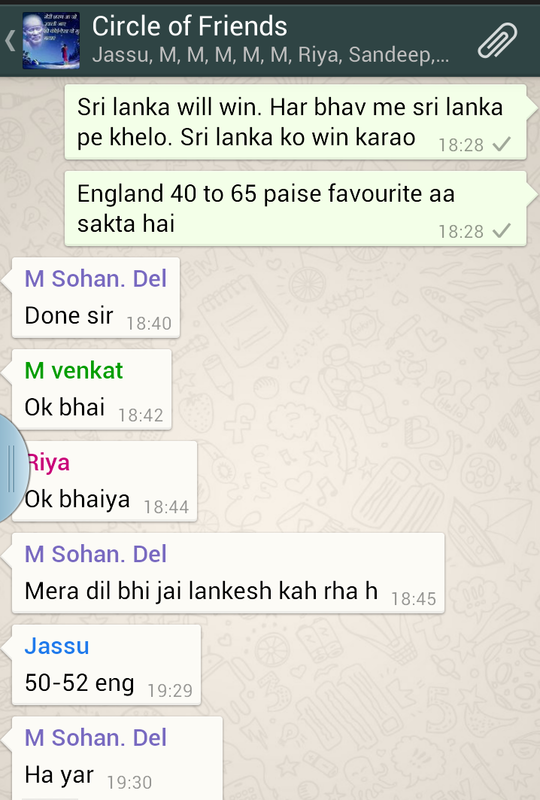 We told our clients tha Lanka will win the match and they won it. 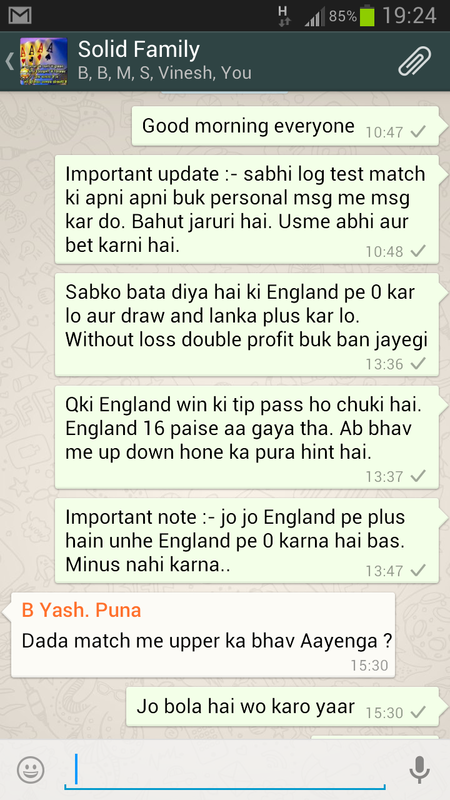 paise and the odds of England did come 50 paise. 4. 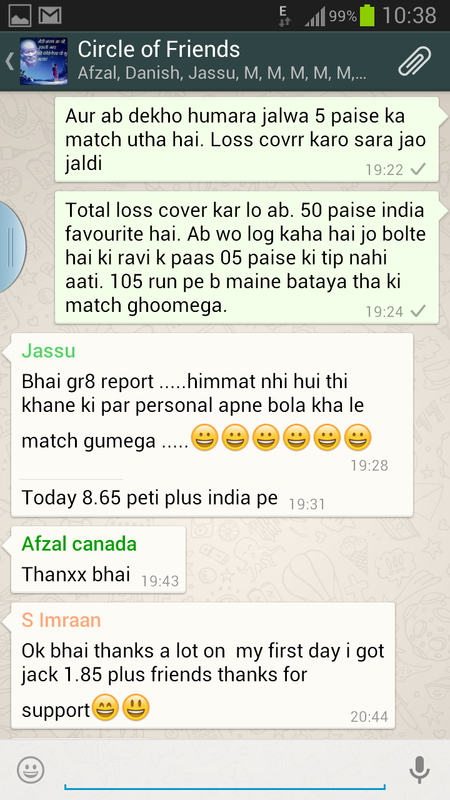 Session of 50 overs failed as we informed our clients. 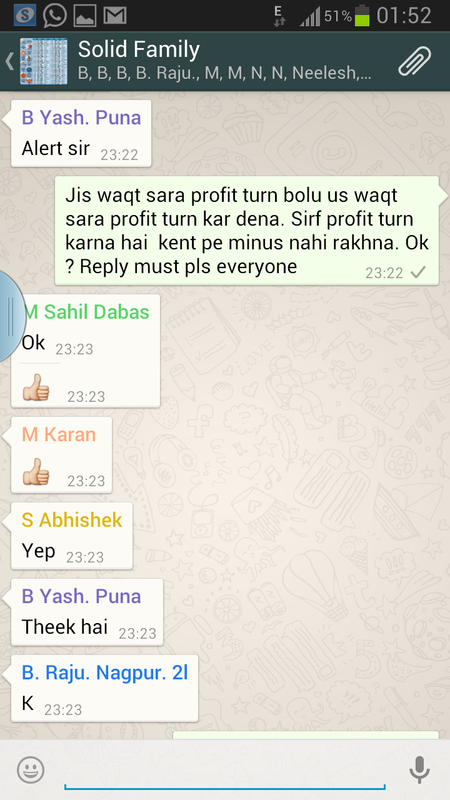 our clients earned double profit.